The Say: There is no need to sacrifice performance on a different body. For the first time, Subaru had brought in regular (read: non-turbo) and turbo versions of the Impreza compact whose name is synonymous with the World Rally Championship and all wheel drive in a hatchback body. The regular hatchback and its WRX counterpart was launched first in November 2007 followed by the WRX STI in July 2008. 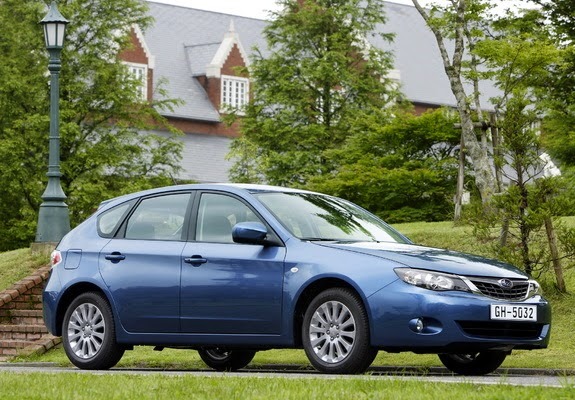 This body style was discontinued in 2012 with the launch of the fourth generation Impreza and replaced somewhat by the XV although the WRX STI hatchback stayed until 2014 (by that time, it had dropped the Impreza name). Excellent interior quality greets occupants of the Impreza, alongside cabin space good enough for four people. When it comes to cargo carrying, the hatchback is a good pick especially that it is flexible enough. The R Sport is the regular version packs a 152hp 2.0 engine, all power amenities, dual airbags, ABS brakes, CD player with MP3 and auxiliary jack, stability control, fog lamps, rear spoiler, 60/40 fold rear seat, automatic climate control, alarm, keyless entry, and steering wheel audio controls with manual models having hill start assist. WRX models get a 230hp 2.5 engine and some exterior revisions plus it is only available with a five speed manual while WRX STI units have 300hp paired to a six speed manual, side airbags, leather seats, and some revisions inside and outside. November 2010 saw an update for the WRX STI (its lowly brother was discontinued) which shifted for the hatchback to an automatic transmission and added cruise control and Brembo brakes.